Please note that the content of this book primarily consists of articles available from Wikipedia or other free sources online. Eco-terrorism refers to acts of violence or sabotage committed in support of ecological or environmental, against persons or their property. The FBI has credited to eco-terrorism 300 million dollars in property damage from 2003 and 2008, and a majority of states within the USA have introduced laws aimed at these activities. Critics of this use of the term argue that it has been defined in order to vilify activists, and that the term would be more properly employed to describe the environmentally damaging activities of corporations. 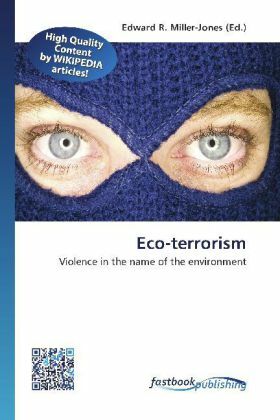 Learn more about eco-terrorism, its goals, methods and ideology in the following pages.